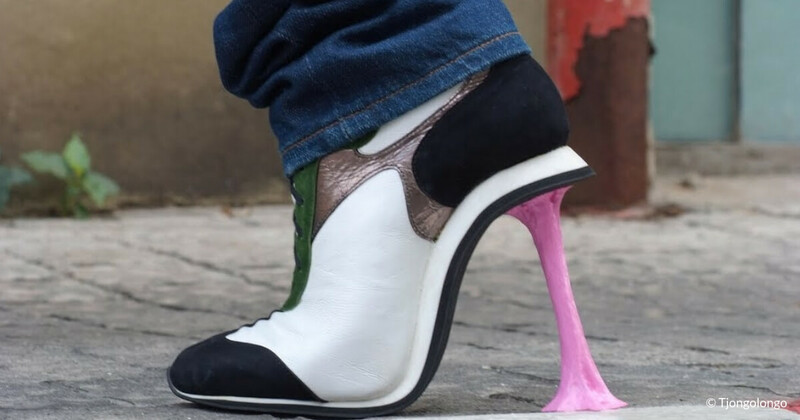 These are some shoes! – ¿¡ tjongolongo ?! I always love it when people take a different take on ordinary things. I find it sometimes hard to do it in my job as a Communications specialist. Awesome design like this always gets my creative juices flowing though, it keeps me inspired to be creative in my field as well!